Five ESP cards are laid out on the table. Point to one and push it aside. Point to another and push it aside. Discard two more until just one is left. Do you think I could have predicted that card in advance? A duplicate set of ESP cards has been on view throughout. They are all face down except one. It's your card. Not only that, but it has a completely different colored back from the rest! 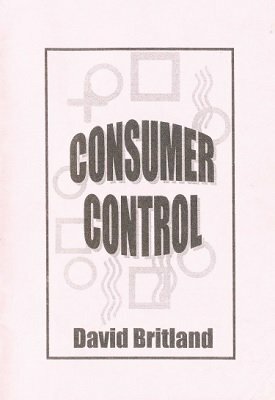 Consumer Control is simple, easy and direct. No counts, moves or sleight of hand. A baffling demonstration of psychological persuasion. 1st edition 2001, 1st digital edition 2013, 9 pages.